Who is Buried Here? - Angelton Asylum Cemetery. 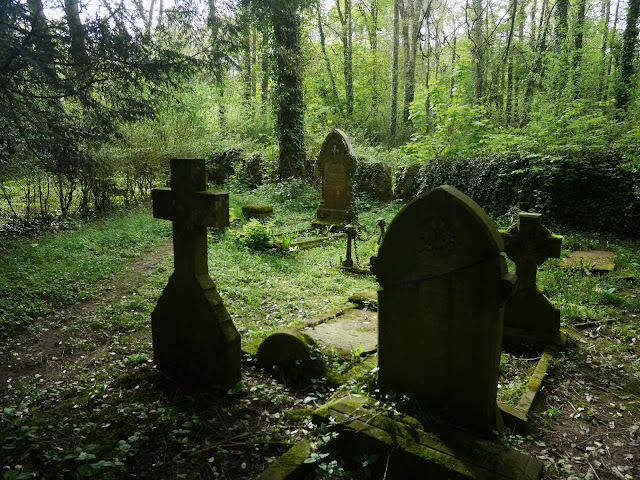 A view of the original Angelton Asylum Cemetery. 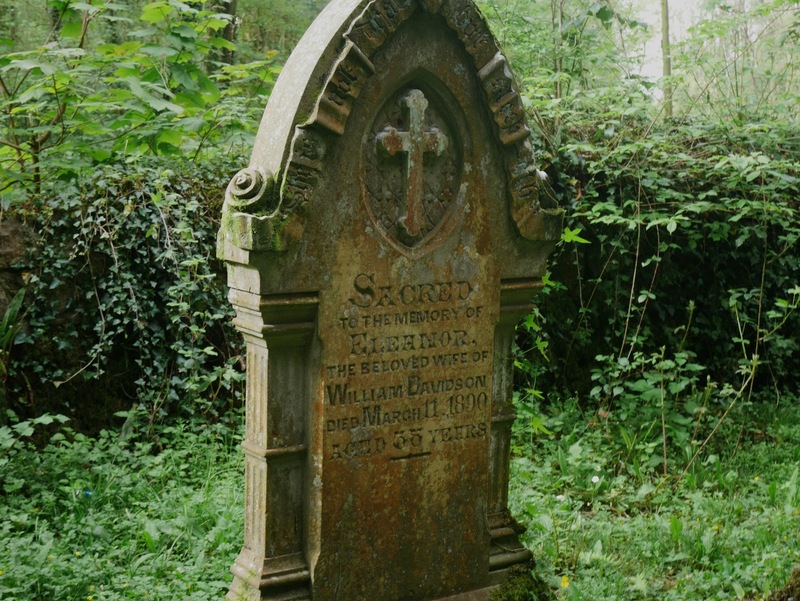 Following my post about Dr. Robert Sloss Stewart, I have been researching the lives of the other nine gravestones that remain in the original Angelton Asylum Cemetery. Due to the amount of information, I have decided to share my research via a series of posts. It is interesting to remember that at some point during their time at Angelton, whether it be a passing glance or a medics meeting, all of the people would have crossed paths. They would have all been familiar with each other. In this post, I will be writing about Eleanor Davidson and Francis Hill. Unfortunately not much is known about their lives. What little we know has been drawn from census records, parish records, medical journals, and newspaper articles. The headstone of Eleanor Davidson at Angelton Cemetery. Eleanor Keeble was born in January 1851. Born in Ipswich, she was a daughter of Frederick and Eleanor Keeble. The 1851 census shows that Eleanor, aged two months was living at Fore Hamlet, Ipswich. She lived Fore Hamlet with her parents and two brothers: Thomas and Harry. The census shows that her father, Frederick was an Engineer. Glamorgan Banns entry for Eleanor and William. Eleanor Keeble married William Davidson at St. Illtyd's Church, Newcastle Hill on the 8th of May, 1889. 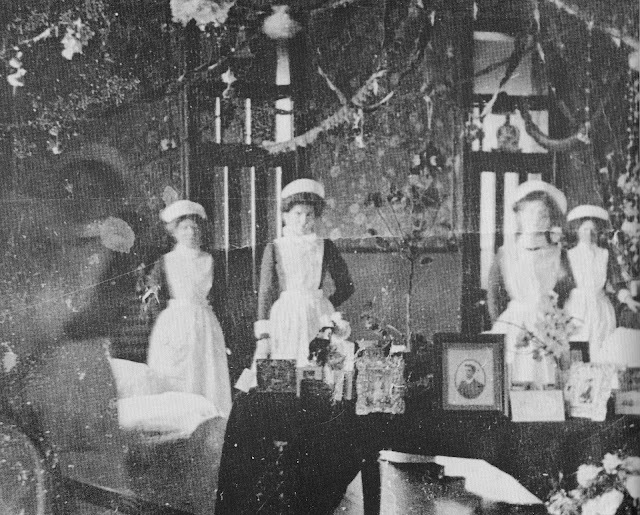 At the time of their marriage, Eleanor was an Attendant at Angelton Asylum. Her husband, William Davidson was the Head Attendant of Angelton Asylum. He was born in Scotland in 1852 and was the son of a farmer also named William Davidson. Witnesses to the marriage were all staff of Angelton Asylum. John Jones: Attendant at Angelton Asylum. Henry Harris: Baker at Angelton Asylum. Anna Maria Harris: Wife of Henry Harris, Baker. Sarah Hunt: Housekeeper at Angelton Asylum. The 'Twenty-Fifth Annual Report of the Glamorgan County Lunatic Asylum, Bridgend – for the year 1889' notes that at that time the salary for Head Attendant and his wife was £52.48. This included Board and Lodging, Laundry and Uniform. Eleanor Davidson died at Angelton Asylum on the 11th of March 1890, aged 38 years old. Eleanor's death certificate shows that she died of a 'rupture of the uterus in labour collapse' - in layman's terms, Eleanor died as a result of childbirth. Her death was certified by Dr. R.S.Stewart who was present at Eleanor's death. Extract from the death certificate of Eleanor Davidson. William Davidson now a widower, William married Mary MacArthy at St. Mary's Church, Coity on the 16th of December 1893. By this time, William was Clerk of Works at Parc Gwyllt. William and his wife stayed at Parc Gwyllt until William's retirement in May 1907. On his retirement, an article published in The Glamorgan Gazette noted that "many acts of kindness bear testimony to his integrity of purpose and keen sense of honour in discharging his complex duties as clerk of works for the Asylum Committee." It goes on to mention that William had worked at the Asylum for over 30 years. The tipped headstone of Francis George Herbert Hill at Angelton Cemetery. 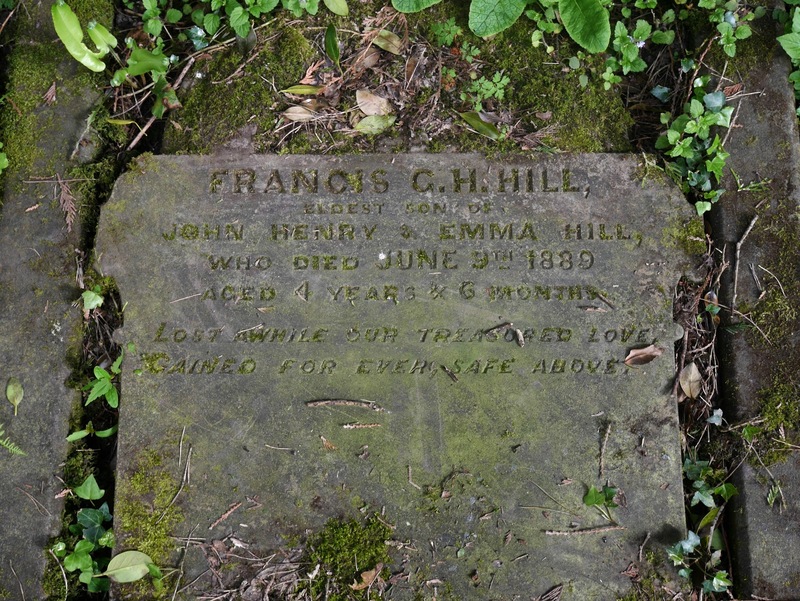 Francis George Herbert Hill was born at Joint Counties Asylum Lodge on Christmas Day 1884. He was the eldest son of John and Emma Hill who were both staffs at the Asylum. 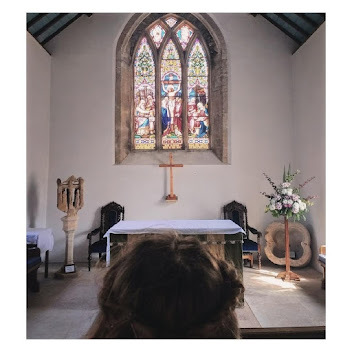 John Hill married Emma Powell at St. Cadoc's Church, Trevethin on the 2nd of April, 1884. Charles Henry: b. 6th April 1887 at Joint Counties Asylum Lodge. William Edward: b. 29th June 1890 at Angelton Asylum. Frederick Powell: b. 19th June 1892 at Angelton Asylum. Sometime between 1887 and 1890, the Hill family moved to Angelton Asylum. Here, John Hill was employed as a Storekeeper. The 'Twenty-Fifth Annual Report of the Glamorgan County Lunatic Asylum, Bridgend – for the year 1889' notes that at that time the salary for a Storekeeper was £120. This included a house and garden. Francis Hill died at Asylum Lodge, Angelton Asylum on the 9th June 1889, aged 4 years and six months. His death certificate shows that Francis died of 'Leucocythemia', what we now know as Leukemia. It also notes Dr. R.S. Stewart certified the cause of death and that Francis had suffered from 'Leucocythemia' for 6 months prior to his death. Extract from the death certificate of Francis Geroge Herbert Hill. The 1901 Census shows us that John Hill was still the Storekeeper at the Angelton part of the Glamorgan County Asylum. By this time, Frederick his youngest son had been born. The census shows that John's father, John was living with them at the Asylum Lodge. The 1911 Census shows us that John Hill was still the Storekeeper. By this time his sons William and Frederick were employed. Sometime between 1911 and 1926, John and Emma Hill moved to Middlesex. John died in September 1926, aged 70. Emma Hill died in May 1939, aged 82. The staff of Angelton Asylum.